This morning was a break from the usual routine for me as I left my son with his Grandad whilst I hopped on the train into London. Today is usually Daddy’s day but, as he had a meeting first thing, Grandad came down super early to look after Isaac so I could get to work on time. My father-in-law comes down once a week but usually he arrives after I’ve left for work and leaves before I return, so I’m never involved in the ‘handover’. Handing over to Grandad involved a slightly earlier start as I made sure Isaac was up and dressed and sitting eating breakfast before I left. I made coffee for Grandad and me (mine in my thermal cup for the train) and left them both tucking into porridge and fruit. Usually I don’t need to worry about breakfast or getting Isaac dressed as my husband does all that after I leave. He even makes and hands me my coffee as I run out the door! As I walked to the station this morning l reflected on how ridiculously lucky my husband and I are to have two sets of Grandparents who love looking after Isaac. My father-in-law was given two days notice about today and he rearranged things to be at our house by 7.30 this morning. He is semi-retired so work isn’t too much of a problem but he lives an hour away (on a traffic-free journey) and I don’t underestimate the added stress of an incredibly early morning start to ensure that he got to us in time for me to leave for work. When my husband and I chose to leave London (eventually, when I was 4 months pregnant) it took us a long time to find the right place to live. The right place being somewhere between London and “home” (where we grew up and where both our parents still live) so we could both continue to commute to work but whilst also moving closer to our parents to make spending time with their first Grandchild easier. Whilst I have no doubt our parents wish we could be closer and whilst I know that would make our childcare arrangements much easier (and, of course, cheaper) we both need to be able to commute to London. Anyone who commutes knows that the journey time has to be something you can cope with day in, day out. Moving further away from London with a commute closer to 3 (or even 4) hours a day wasn’t an option for either of us, especially now I know how desperate I am to get back in the evenings before bedtime. I can’t deny that sometimes it’s really hard without having someone on the doorstep. I still remember when Isaac was only a few months old (and having a shower was an achievement! ), I visited one of my friends and she mentioned that her father had ‘popped round’ in the morning so she could have a shower and tidy the house. I was unbelievably jealous, and at times like that it, it makes me question why we didn’t just moved back to Kettering when we had the chance! But I love where we live now, and I know, compared to some, an hours journey to our parents isn’t really too bad at all. I am writing this, not only after leaving my son with his Grandad this morning, but also on the back of a toddler-free weekend away, where my husband and I dropped Isaac at my parents on Saturday before heading to a wedding and having the absolute luxury of staying away over night (aka having a lie in!) Kids were invited but we chose to leave Isaac behind so we could properly enjoy the day, enjoy spending time with each other and enjoy seeing and catching up with friends whilst having uninterrupted conversations (except the acceptable interruption of someone asking if they could re-fill my glass!) The weekend just gone is the third time we have left Isaac over night with Grandparents and I fully appreciate just how lucky we are to be able to do that. Lucky that we have both sets of parents who are able to do it, who want to do it, who we 100% trust to do it and who we can leave with no fuss and no comprehensive instruction manual! 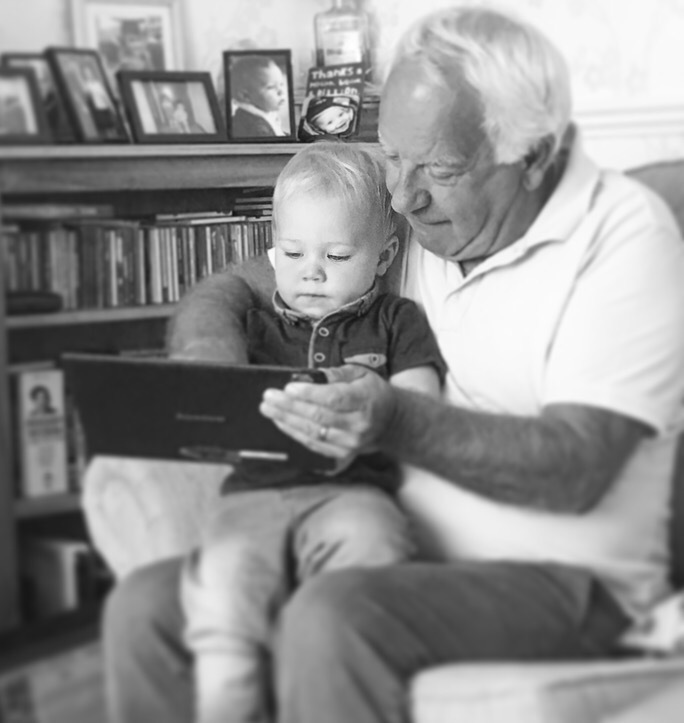 I know both sets of Grandparents love having him to stay and relish the opportunity to spend special time with him without Mummy and Daddy hovering over them, so it works well all round! I should emphasise that Isaac also has a big role to play in this – he is so chilled out, he sleeps through the night (most of the time) and eats almost anything you give him. Although he cried when we left him on Saturday (I’m blaming those teeth!) I knew that within a few minutes, and with the help of one of Nanny’s homemade chocolate muffins, he would have forgotten what he was crying about! I couldn’t write this without mentioning the fact Isaac is also lucky enough to have a Great Grandma and Great Grandad. As they live further away it means that visits are not as regular but feel much more special. Mornings in Somerset are particularly fun for Isaac as we joke that his Grandma kicks his cot first thing in the morning so she gets play time before my husband and I wake up! We shouldn’t complain though, early morning playtime means a lie in for Mummy and Daddy!! And the memories my husband has of childhood holidays in Somerset are starting to be re-lived through Isaac, and it’s awesome to watch. For some, leaving a toddler with Grandparents is a way of life that they couldn’t imagine any other way. For others it’s simply not possible. 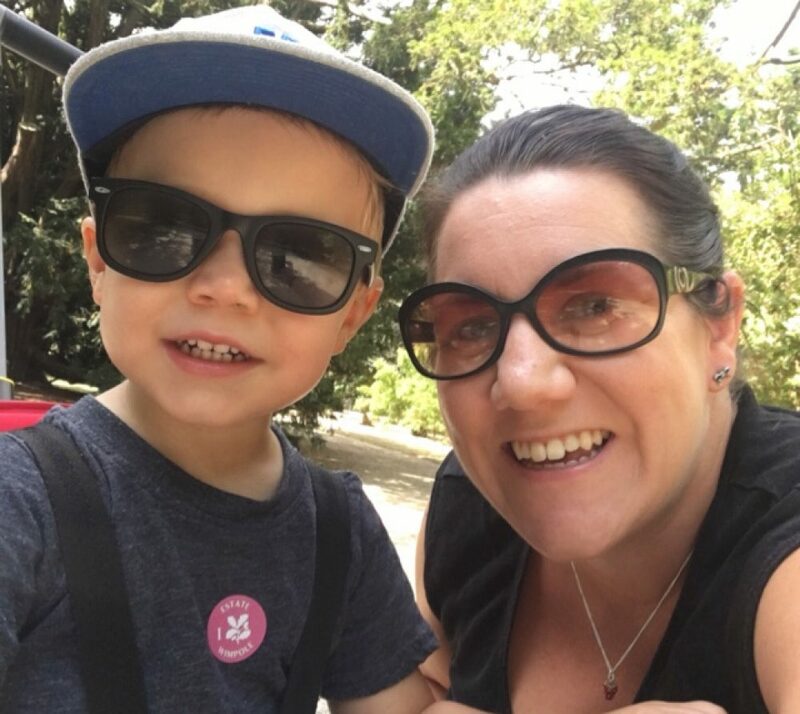 For us, it feels like an incredible luxury that means we can go to work without relying on full-time nursery, we can enjoy regular nights out with friends or just a well-needed ‘date night’ for the two of us, and we can plan weekends away with minimal fuss. Most importantly, it means Isaac gets invaluable time with his Grandparents. And for that, we are extremely grateful.